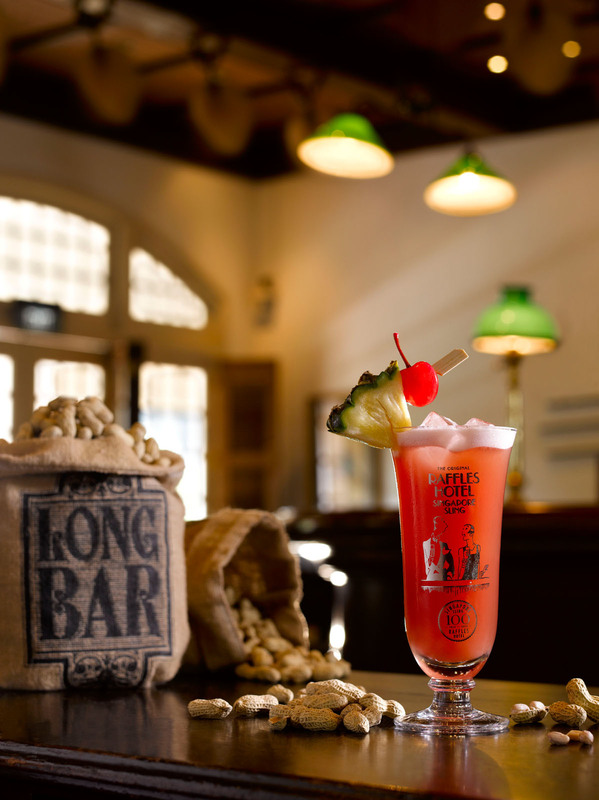 Recognised the world over for its iconic colonial architecture — not to mention its status as the birthplace of the Singapore Sling — Raffles Singapore has been a bastion of history, luxury and first-class travel for more than 130 years. 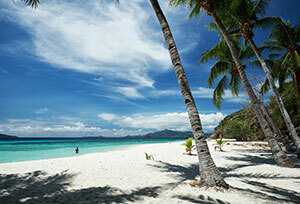 Yet it has never been afraid of change and a major, three-phase restoration project is now underway. Chua knows only too well what is involved; between 1989 and 1991, she and Richard Helfer, the then CEO of Raffles Holdings, closed the hotel for remodelling. 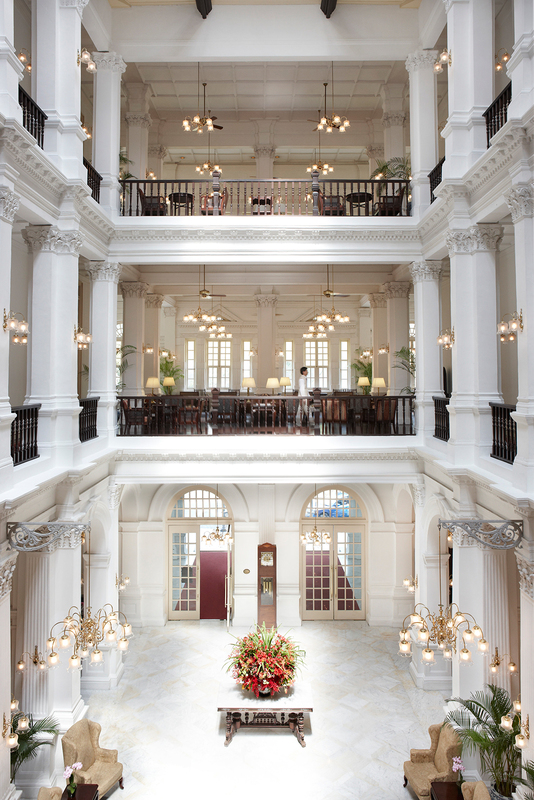 This included restoring the grand lobby staircase and gutting three floors to uncover the original foyer atrium that Joseph Conrad once described as being as “airy as a birdcage”. 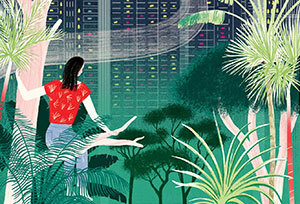 If the past is any guide — or, more accurately, if its guardians have anything to say about the matter — there is little danger of the hotel being afflicted by such transience. Indeed, it was officially declared a national monument in 1987 and is the jewel in a crown that includes sparkling gems such as the Raffles Grand Hotel d’Angkor in Siem Reap and Le Royal Monceau, Raffles Paris. 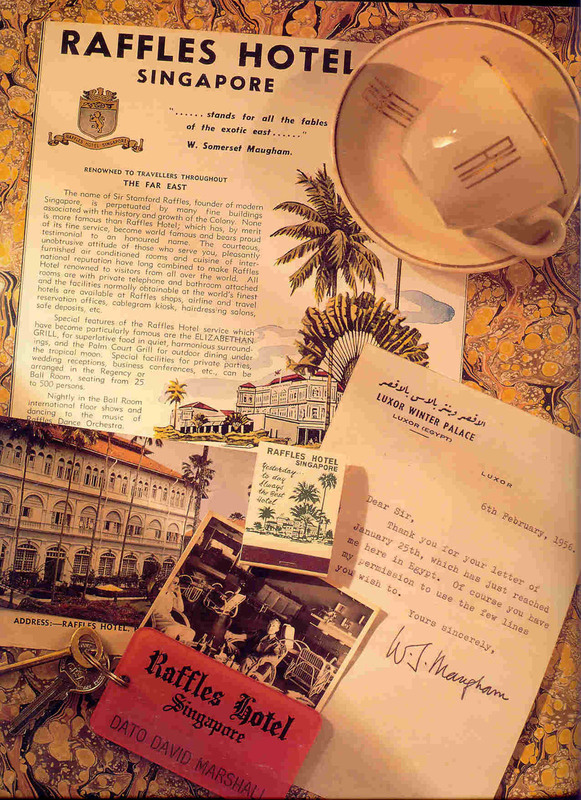 Much has already been written about the hotel’s beginning in 1887 when the Sarkies brothers, a brood of savvy Armenian businessmen, thought that Singapore, then a edgling British colony, needed an upmarket guesthouse. They decided to build their two-storey, 10-bedroom bungalow on Beach Road, at the time a quiet stretch facing the South China Sea. Along this same stretch lived some of Singapore’s most prominent families, including the d’Almeidas, Balestiers, Purvises and Alsagoffs. Today, old Beach Road has become a wispy echo of its former self, its families and the past now remembered only casually as street coordinates. Land reclamation projects, begun in the 1840s and which continued well into the 20th century, have pushed the sea back from the road in ever-increasing swathes. 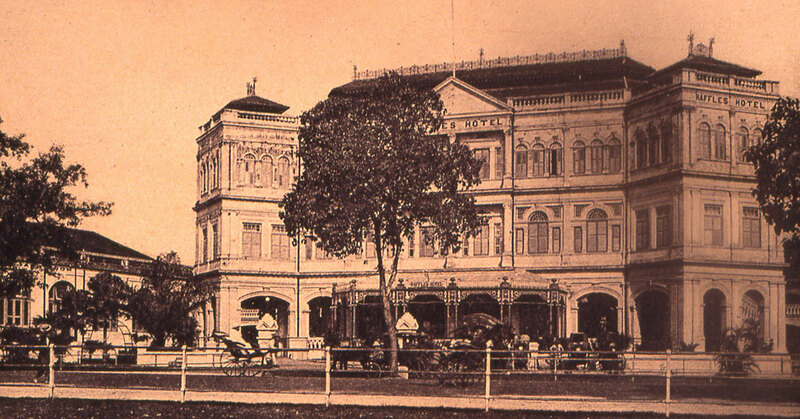 Yet the hotel itself has been an enduring constant. Such was its early success that, within its rst decade, two extra wings comprising nearly two dozen new suites had to be added. 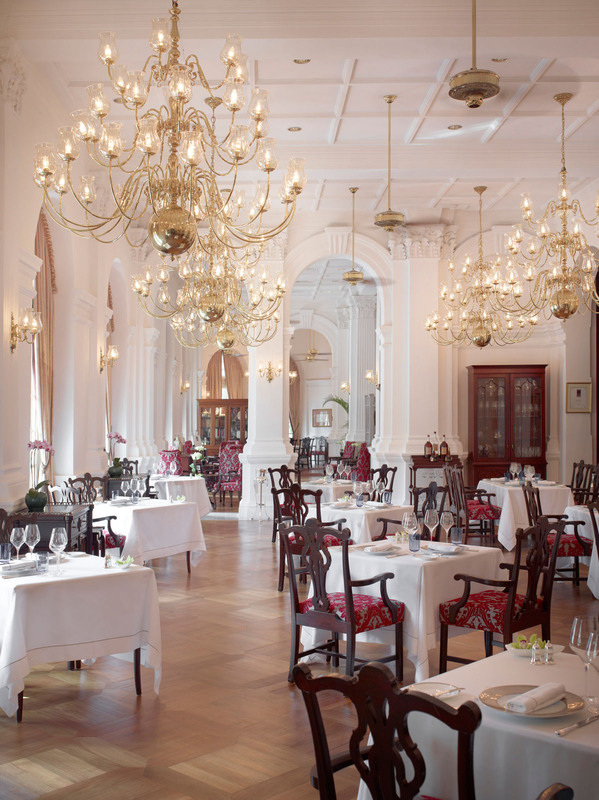 The Bar and Billiard Room was added shortly after and, in 1894, the Palm Court Wing was inaugurated. 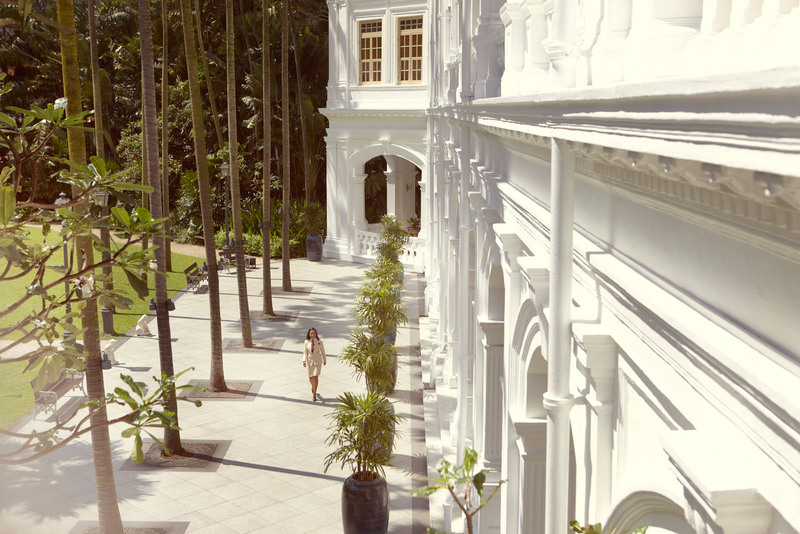 In the following century, Raffles went from strength to strength, trading on its twin core characteristics: a quintessentially British façade paired with an unmistakably Oriental welcome. 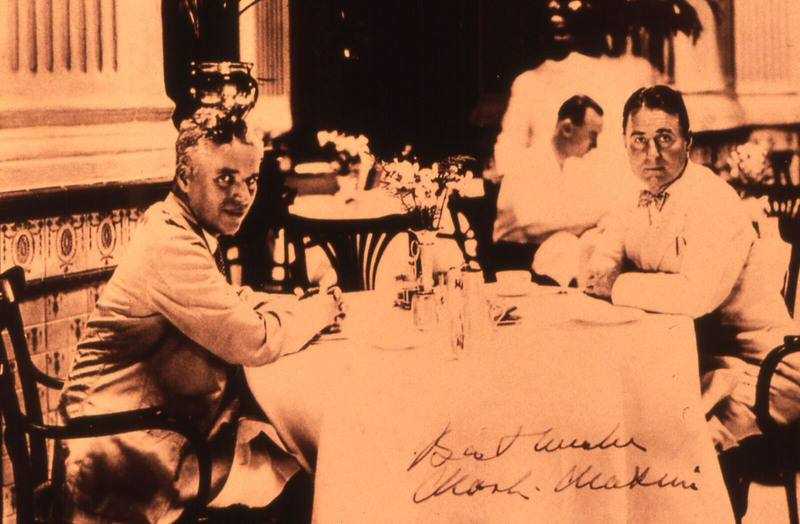 By 1905, the hotel sprawled over 200,000sq ft of prime waterfront real estate, a quiet bucolic bolt-hole whose name was known throughout the Empire. 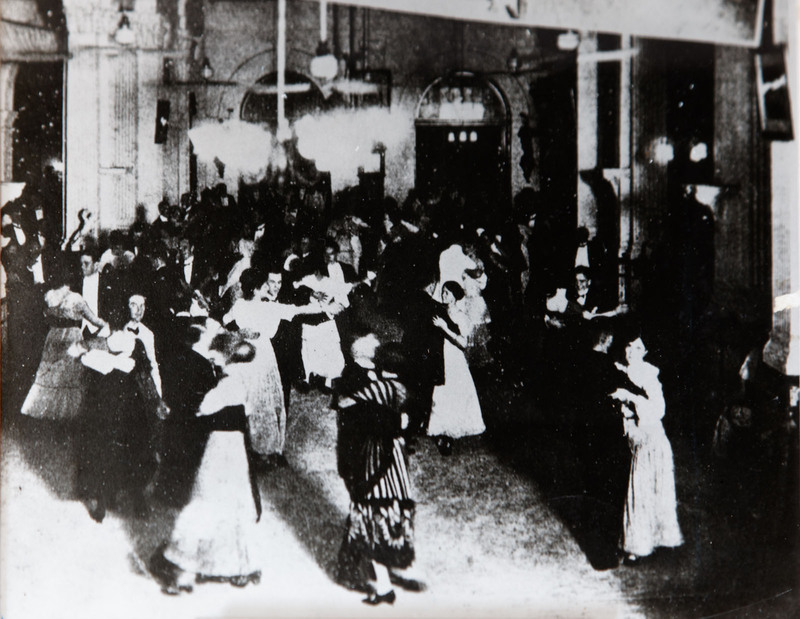 Its views and impeccable service were applauded by all, as well as its revolutionary electrical lights and cooling fans that had been unveiled in 1899. Such has been the hotel’s reputation over the years that famous gures as varied as Rudyard Kipling Marlon Brando, Michael Jackson, Karl Lagerfeld and the Duke and Duchess of Cambridge have stayed here. 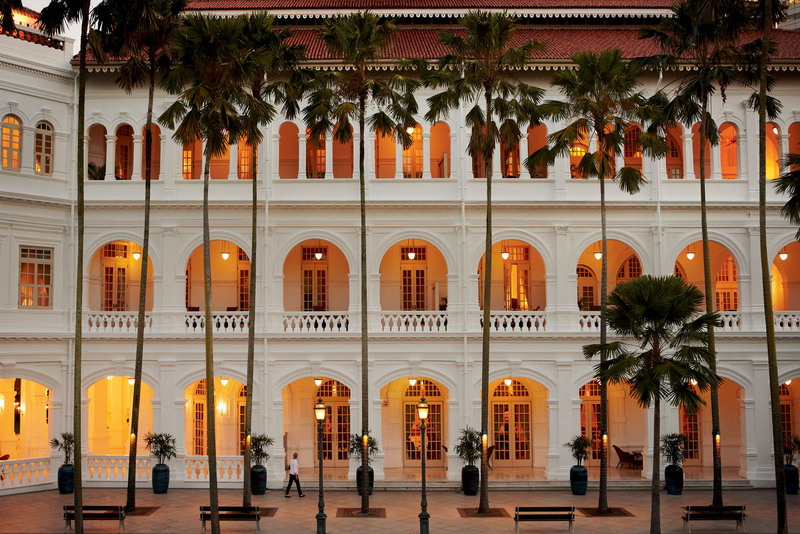 So the new restoration has much to live up to, but happily Raffles Singapore's owners, Katara Hospitality, has assembled a crack team of experts. 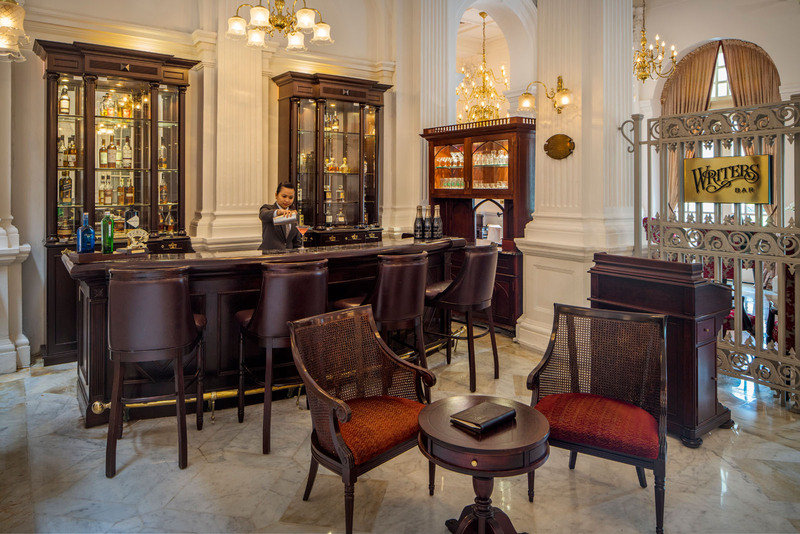 At the core of Katara’s brief is to respect the heritage of such an iconic hotel yet craft a space that speaks clearly to Hirst’s ideal of modern luxury for the international traveller. For the designers, this means delivering a fully edged restoration while maintaining the hotel’s classic architectural envelope. “We’re working inside a national monument, which is a great honour and we take that responsibility very seriously,” says Jon Kastl, Champalimaud’s lead designer. “We’re going to great lengths to maintain as much of the historic original as we can — both in the interior and on the exterior. 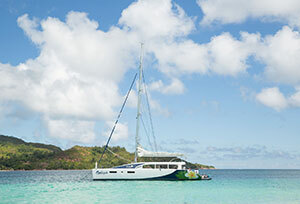 While much of the interior architecture will stay, everything beyond that will be reimagined. Historical oors will be restored. New mechanical systems will be inserted into ceilings alongside upgraded electronics and technology in bedrooms. The presidential suite will be recon gured to make it more contemporary. The rooftop swimming pool will be refreshed and the shopping arcade will have a new ballroom, restaurants and spa and new public spaces to enhance a sense of community. The enthusiasm and anticipation of the project team is infectious. 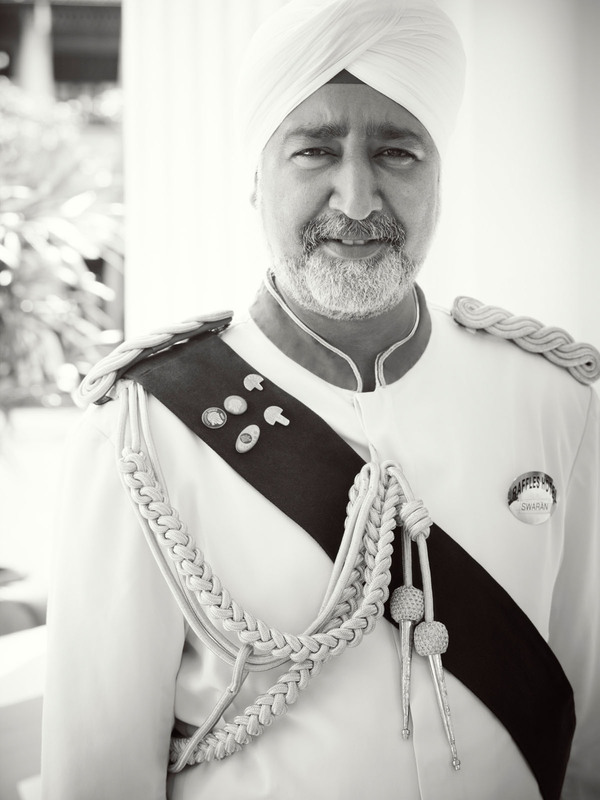 For everyone involved, the restoration will not only ensure that the hotel remains the best in its class, but also that its story and legacy remain fresh. As the restoration continues, the hotel will be closing certain areas before fully closing towards the end of the year for the final phase of the project. The grand reopening is planned for the middle of 2018. In a world measured in instants, it seems like an eternity, but as the Sarkies brothers knew full well, some things are worth the wait.